After reading the full article released by ESPN today “Spygate to Deflategate: Inside what split the NFL and Patriots apart” I find myself wondering exactly why there has never been such scrutiny used on any of the other 31 teams in the NFL. Why have the New England Patriots always been the target of every and anything that went bad in the league? Maybe someone should spearhead a movement to pick apart each and every team out there. We know that this would never happen because they need all eyes on a single team, why not make it the team that deemed as the best out there, at least at the moment in their eyes. I’m certain everyone knows that it is more than highly probable that each team has done things they regret, done things they knew were against the rules and are both thankful and grateful they didn’t get caught doing. We further know that referees have chosen to pick on the patriots in regular season as well as during the playoff season, costing them many a goal or games just because they hate them. It’s obvious that “Patriots Haters” are nothing more than bullies. They’ve chosen to make it their life’s goal to do whatever possible to make sure that no one sees the New England Patriots for the hard-working, talented team players that they are. The likes of Roger Goodell cares only about his paycheck and those who give it to him. Just remember that people can’t climb to the top on their own. There are many others that help them get there. 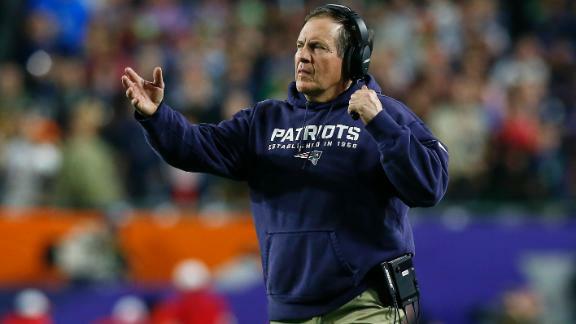 If it’s truly believed that there were any improprieties made by Tom Brady, Bill Belichick, or Robert Kraft, especially over three championships so close together, than you know someone outside of the New England Patriots clan had to be helping them get there. But we all know that they aren’t cheaters and that once a hater, always a hater is at play here. Chaos, revenge and greed do make great food to feed the media’s appetite.